New nanotech contrast enables blood test for precancerous growth in colon cancer. Colon cancer is often detected in its earliest stages thanks in part to screening technologies like colonoscopy. By snaking a camera through a patient’s intestines, doctors can identify polyps and other abnormal growths that could eventually become cancerous then remove them before they do. Many lives are saved each year because of this sort of routine screening. However, the procedure can also be expensive and unpleasant. Patients must drink large quantities of laxatives the night before and undergo sedation or anesthesia during the exam itself. That’s why many researchers are searching for less invasive alternatives to the colonoscopy that could induce encourage more people to get tested. Now, researchers from BC Cancer Agency, Fujian Normal University and the University of British Columbia have found a way to screen blood samples for molecular traces that indicate the presence of precancerous polyps in the colon, a key warning sign for colon cancer. 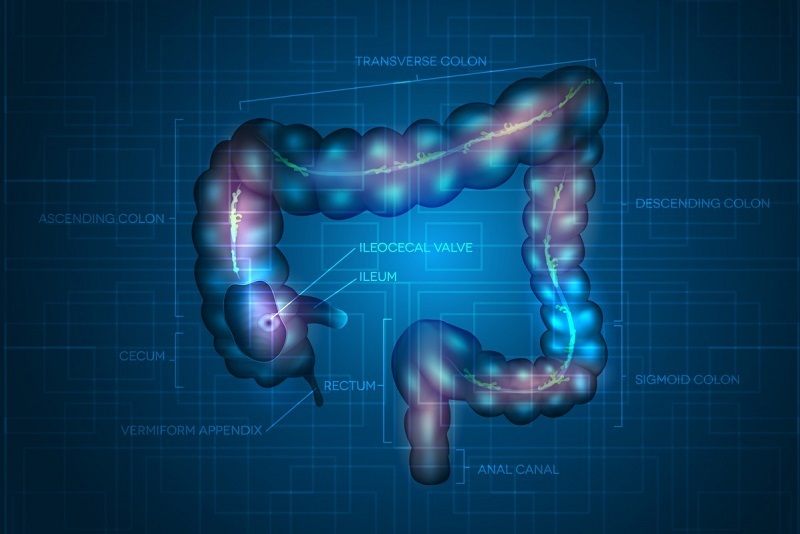 The team state that their results may yield a cheaper and less invasive initial screening test for colon cancer that could complement colonoscopy, though further clinical trials will need to demonstrate the safety and effectiveness of the blood test before it is routinely used. The opensource is published in the journal Biomedical Optics Express. In earlier studies from the lab their results showed a difference in the Raman spectra of the blood plasma of people with colon cancer compared to individuals who were cancer-free. The current study demonstrates that the test can also be used to identify people with precancerous polyps, a finding that makes it potentially more useful for a screening test, since it may be able to identify cancer risk before the disease actually develops. The current study used blood plasma samples from three groups of people, 23 who had adenomatous (precancerous) polyps, 21 who had verified colon cancer, and 25 healthy volunteers. The researchers mixed each plasma sample with silver nanoparticles and then analyzed the mixtures with surface-enhanced Raman spectroscopy (SERS). The group explain that Raman spectroscopy uses a laser to excite the sample and measure shifts in the vibrational energy of its molecules, which can provide insight into the sample’s molecular structure. They go on to add that in surface-enhanced Raman spectroscopy, nanoparticles are added to boost the signal. The team note that at this stage a blood test for colon cancer will never replace colonoscopy as once polyps are identified, a colonoscopy is still the best way to figure out where they’re located so that they can be removed. However, the conclude that a blood test could be used as a first line of defense to identify patients with warning signs of cancer; these high-risk patients could then be referred for a colonoscopy to learn more. The researchers surmise that initial results are promising, however, the procedure is still in the research phase and must go through additional lab tests and clinical trials before actually being implemented. Their data findings identified significant spectral differences between the blood samples with the team yet to determine the exact biomolecular sources for these differences. For the future they are planning new research to identify these responsible molecules.